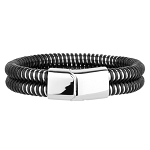 This handsome men's Christian bracelet makes a statement in sturdy stainless steel. This high polished link bracelet features a prominent cross design, with 5 alternating cross links holding 6 white 2mm cubic zirconia each (30 CZ total). 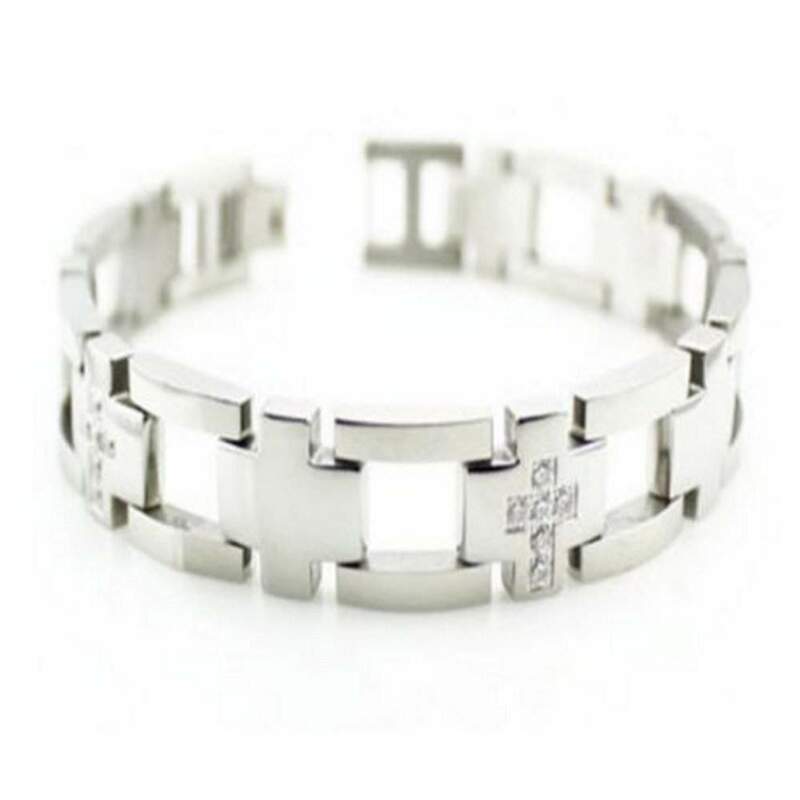 This stainless steel cross bracelet measures 13mm wide by 8.5 inches long, and is finished with a fold-over clasp.